The inevitable result of a big league career fueled by an insatiable drive with equal off-the-field devotion to family and faith. The first home-grown Houston Astro voted into the hallowed National Baseball Hall of Fame … just 12 months removed from tying the record for the closest rejection in ballot history. 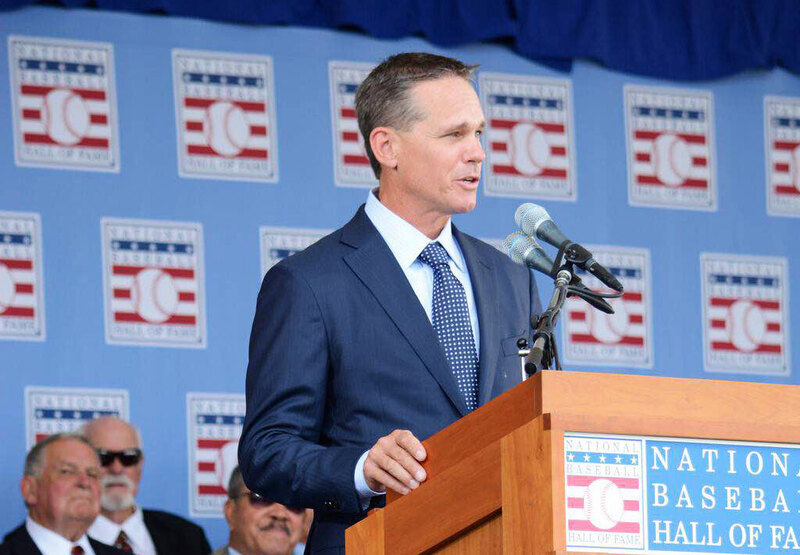 Craig Biggio reveled in the supreme satisfaction of the moment. The rush followed by reflection. He then paused in the tsunami swirl of emotions to contact someone who couldn’t have been further removed from his two-decade climb to his sport’s Mount Everest. 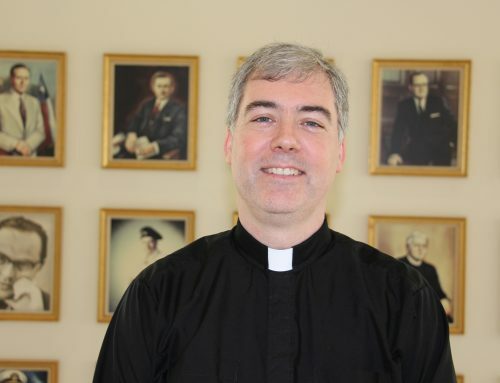 He reached out for a relationship that didn’t take firm root until after his Astros retirement … when he suddenly (if not stunningly) accepted the head baseball coaching position at St. Thomas, where his sons, Conor ‘11 and Cavan ‘13, were already enrolled. 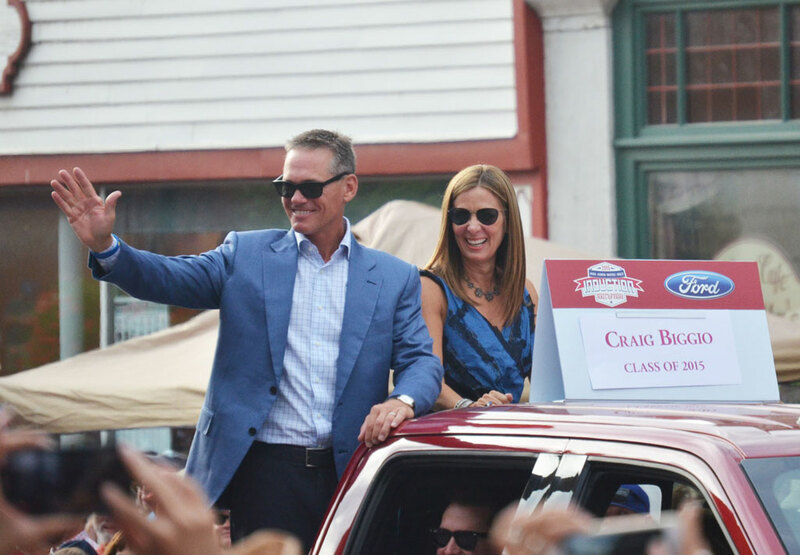 Biggio knew his much-anticipated induction day in the historic hamlet of Cooperstown, New York would bring more than the treatment a transcendent athlete hopes for and deserves … more than the authentic applause and support from fans, his peers, and predecessors, his game. 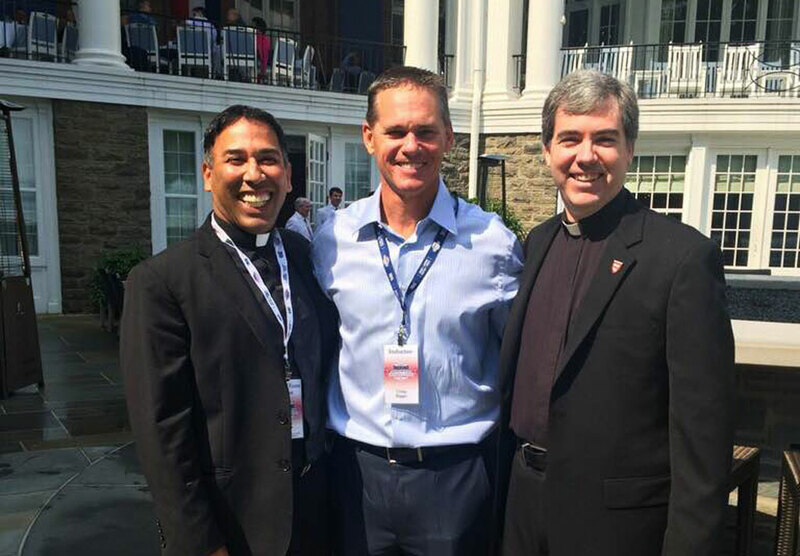 Biggio knew the third Sunday in July necessitated a personal favor the president of St. Thomas could satisfy. 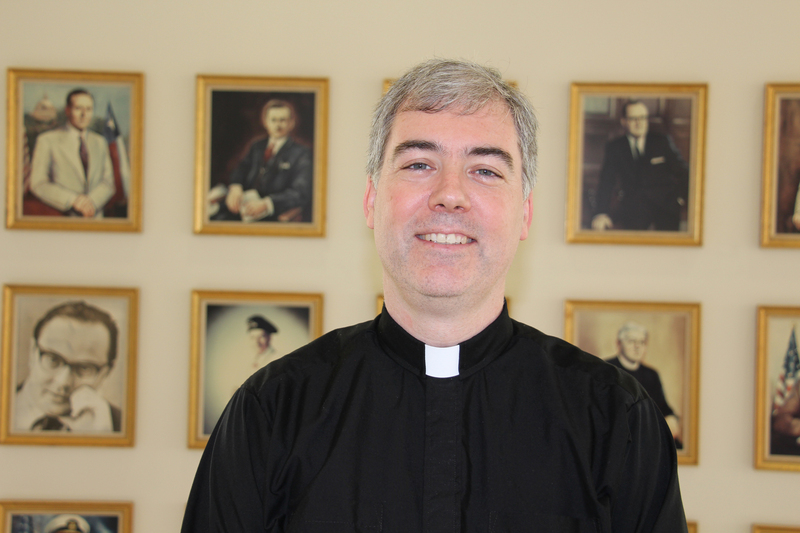 “Craig is not a thump-you-over-the-head Catholic,” Fr. Kevin Storey, CSB said. “But he is a wear-it-on-my-heart Catholic. Never embarrassed to discuss his faith. Always a priority in his life. In my mind, that’s the way the best Catholics live, by invitation and by example. Biggio arranged for the St. Thomas president to travel to the enshrinement weekend on the Astros private charter with an entourage that included STH alumni parent Matt Kemple, Hall of Fame strikeout king Nolan Ryan, his son and Astros president Reid Ryan, a host of minority Astro owners and executives, plus assorted baseball dignitaries, such as former Astro players and managers Phil Garner and Larry Dierker. 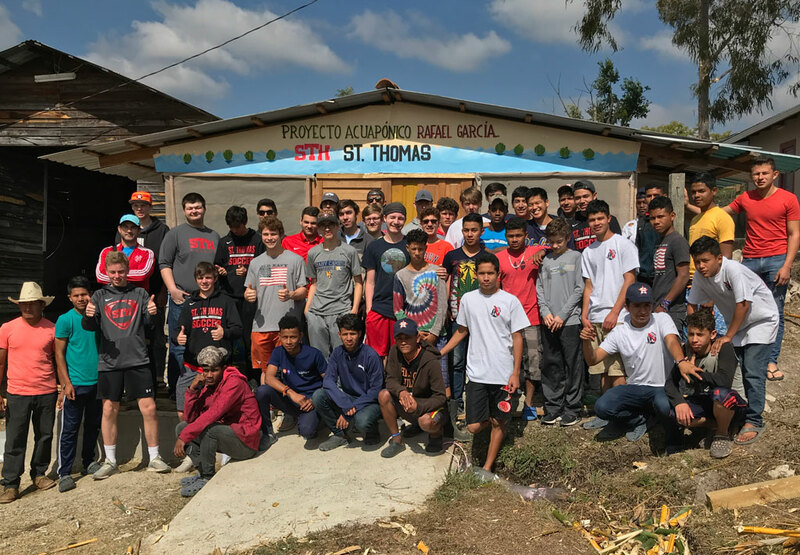 Storey’s fellow St. Thomas Basilian, Fr. Jim Murphy, CSB made the drive from Massachusetts to concelebrate the Sunday Mass at Biggio’s hotel, both priests part of a larger St. Thomas contingent that included athletic director Mike Netzel and his wife, Jeanice … plus Ryan Lousteau, Sean O’Neill ‘00 and Keith Page, all of whom were Biggio’s coaching compadres at STH with long-standing professional connections to the game now making their Cooperstown pilgrimage with an ever-swelling pride for the personal connection with their one-time Eagle in arms. 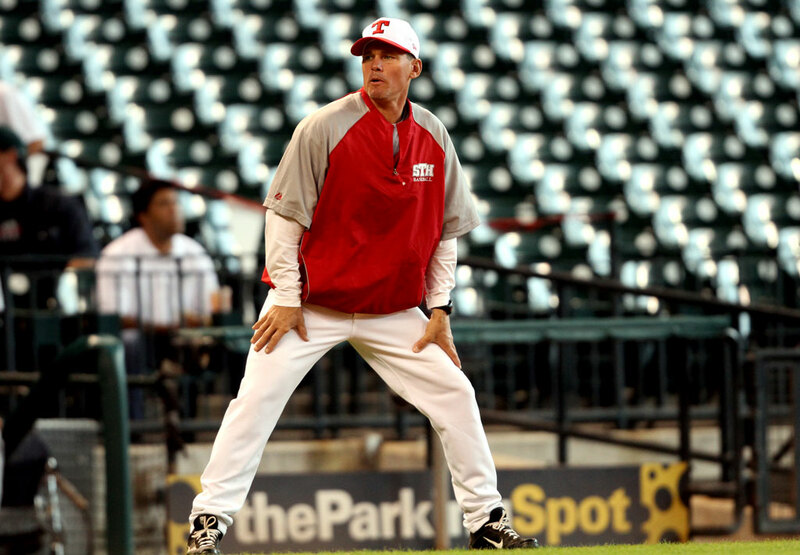 O’Neill enjoyed the luxury of having the eternal Astro icon as his assistant coach when heading the STH freshmen in 2008 and then served on Biggio’s staff during the subsequent five-year run which produced consecutive TAPPS 5A state titles and four straight trips to the state tournament. 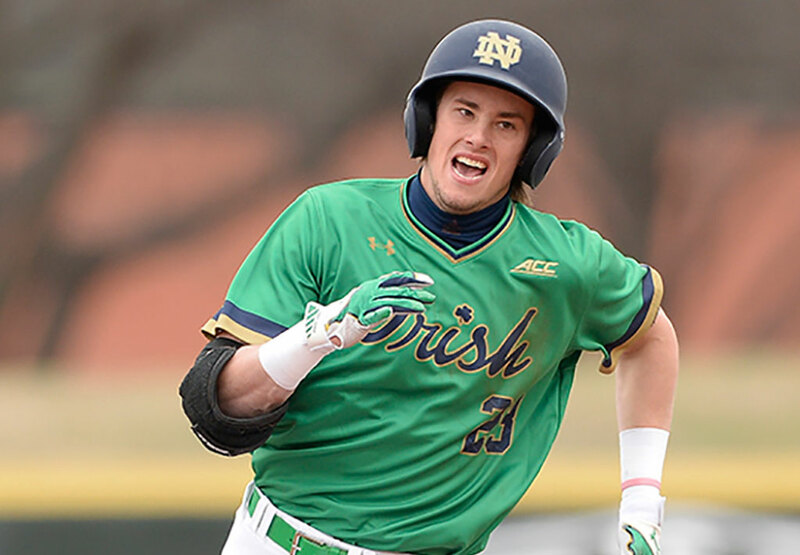 O’Neill taught both Conor and Cavan as a member of the Science faculty and was determined to witness Biggio’s ultimate baseball salute even though he and his newlywed, Holly, were just weeks removed from their honeymoon in St. Lucia in the Caribbean. Patty insisted that her efforts were drawn from a deep respect for the STH community, even in the recent absence of the Biggio’s previous day-to-day association. 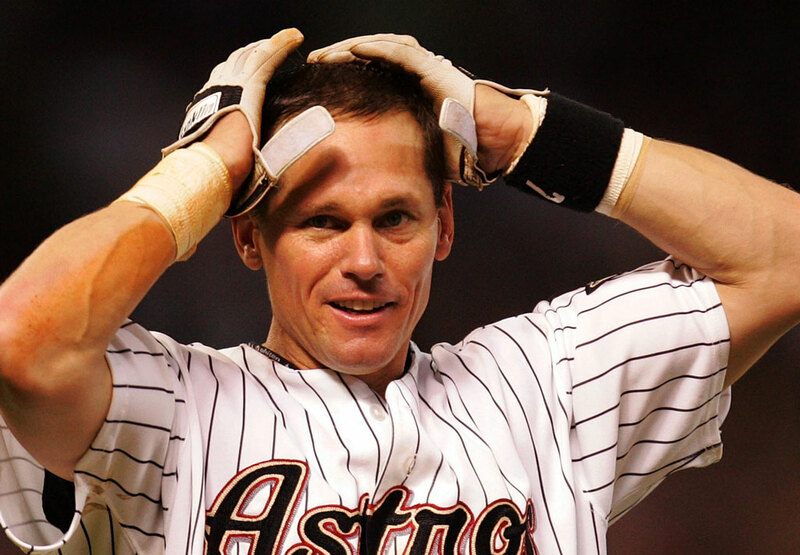 Biggio has repeatedly recognized that some of his greatest baseball satisfactions didn’t directly involve the Astros or influence his Hall of Fame candidacy, but rather came after his iconic career came to a close, when he was able to recoup some of the up close and personal dad time with Conor and Cavan he had sacrificed to carve that signature path which eventually led to him to the HOF. He deeply appreciated and embraced making Fr. 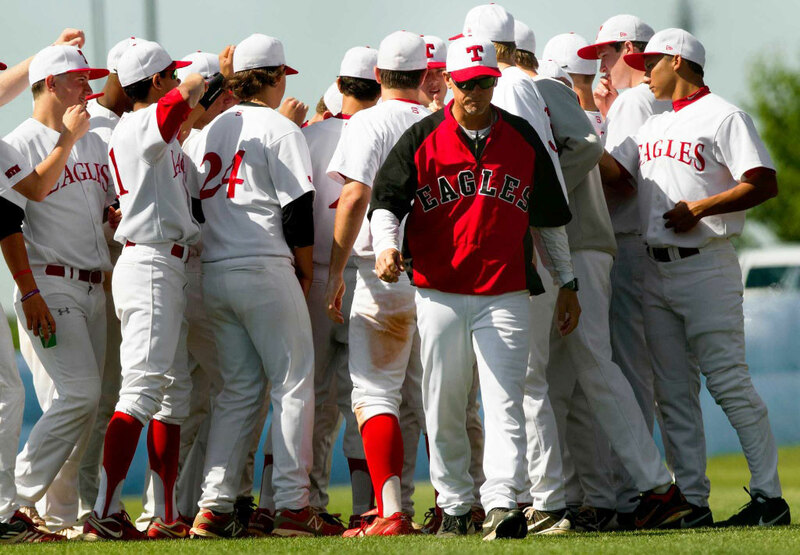 Wilson Field a home-away-from-home where he shared and contributed to what his sons and their fellow Eagles were becoming, not simply as players, but as people, young men laying the foundation for success in baseball and in life. 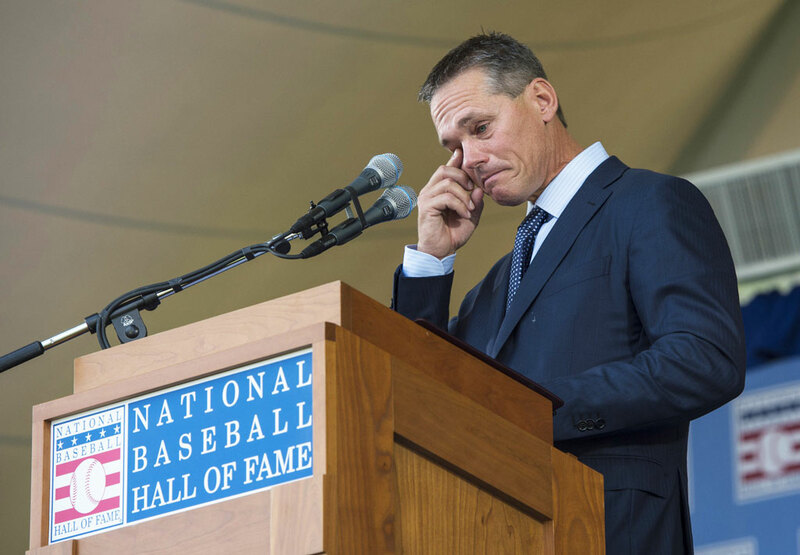 Fittingly, like he did for 1,560 games during his 20-year Astros career, Biggio batted leadoff at the 2015 induction ceremony to the National Baseball Hall of Fame. 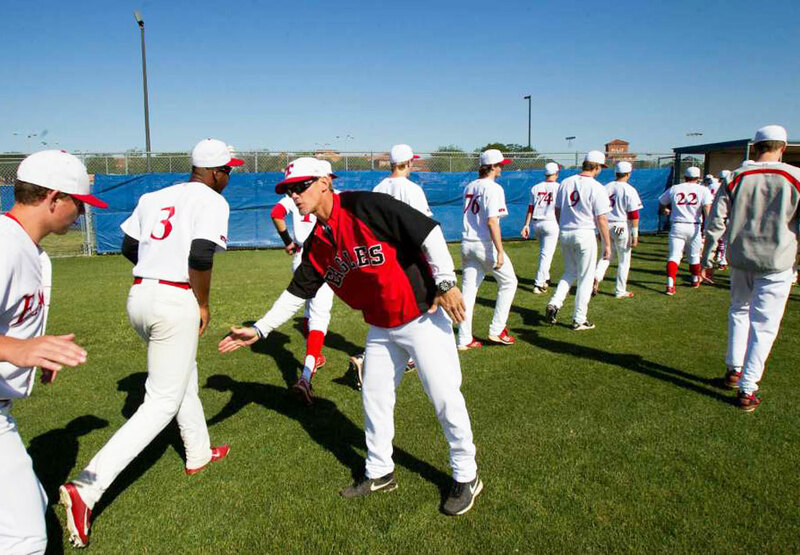 Biggio was quick to salute my close friends … at St. Thomas … and the late Monsignor Jamail (St. Vincent de Paul pastor) … I want to thank you for supporting me in my personal and professional life. Biggo proudly told of his multi-decade relationship with the Sunshine Kids which was largely inspired while growing up on Long Island, New York by a family on his Newsday paper route. They had a boy (Chris) who came down with leukemia. It was right then and there that I understood what a family goes through day in and day out … I made a promise to them that if I was ever in a situation or position to give back, I would. 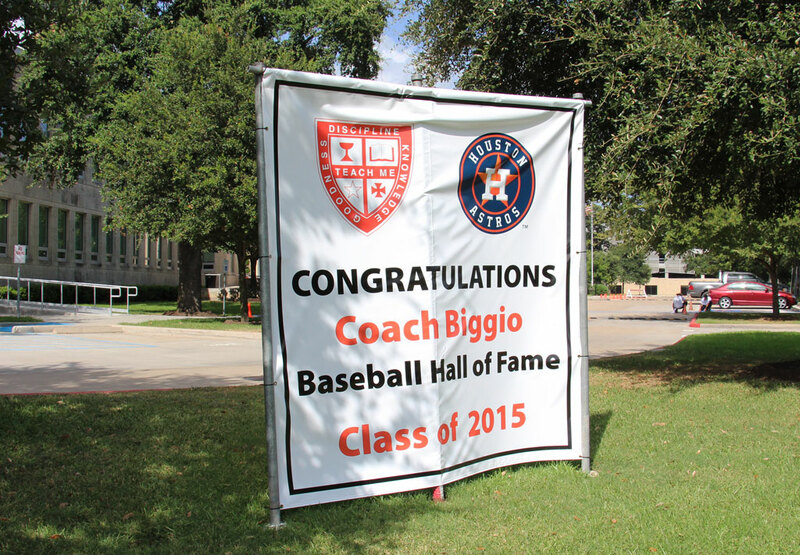 Next Biggio referenced Monsignor Edwin Sullivan, the baseball chaplain at Seton Hall University where Biggio was an All-American catcher before the Astros selected him the 22nd overall selection of the 1987 draft. My roommate on the road at times, but most importantly he was a friend. He helped me with my conversion to Catholicism when I was going through a tough time in my life. I miss you very much. Biggio reserved delivered equal reverence for two mentors from opposite extremes of the professional baseball spectrum … all-time Yankee Yogi Berra, who played in a mind-numbing 75 World Series games while relishing 13 world championships, and career hardballer Matt Galante, who never spent an active day on a big league roster. It was Galante who served as the tireless tutor when Biggio made the speedy transition from catcher to second base during a crash spring training course in 1992. I’m not here (in the Hall of Fame) without that man … an incredible coach and teacher of the game … I thank God for Matt Galante and I’m so grateful. When I won my first Gold Glove I gave it to him. Matt, thank you for everything. 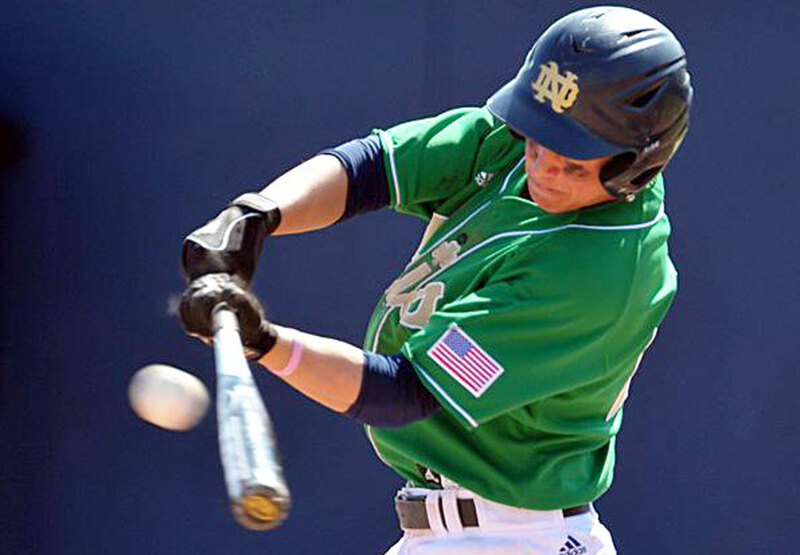 Biggio then turned the focus to those he most cherishes, first Conor and Cavan, who vaulted from STH to Notre Dame where they remained teammates the last two years. I’ll never forget the memories we had traveling with the team when you guys were bat boys and enjoying the 3,000 hits on the field together. 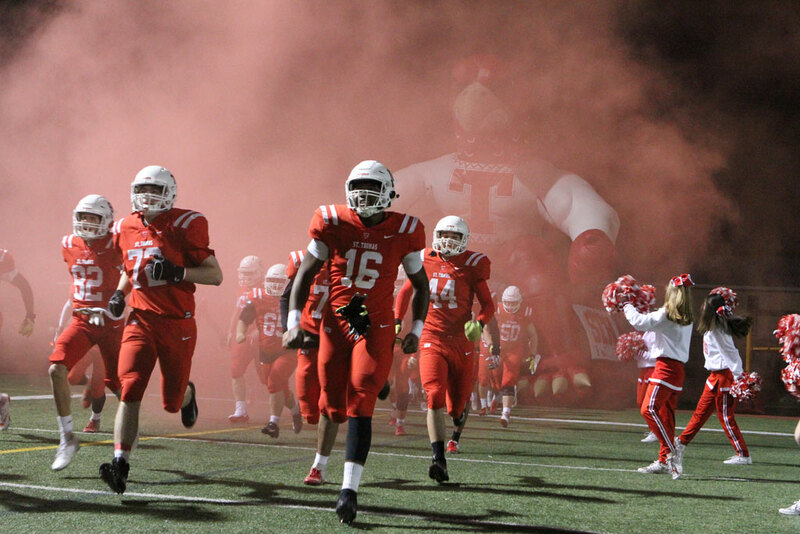 Memories of a lifetime. 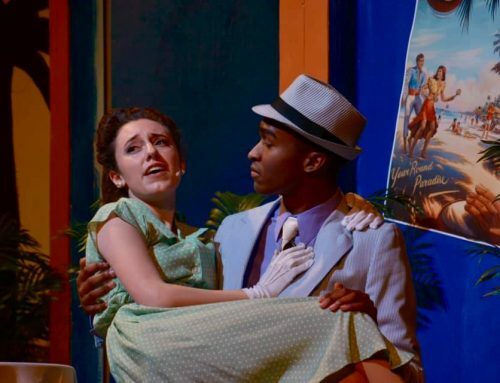 And (daughter) Quinn, you’re beautiful and talented … (too) young to remember my playing career but you sure play like you do. 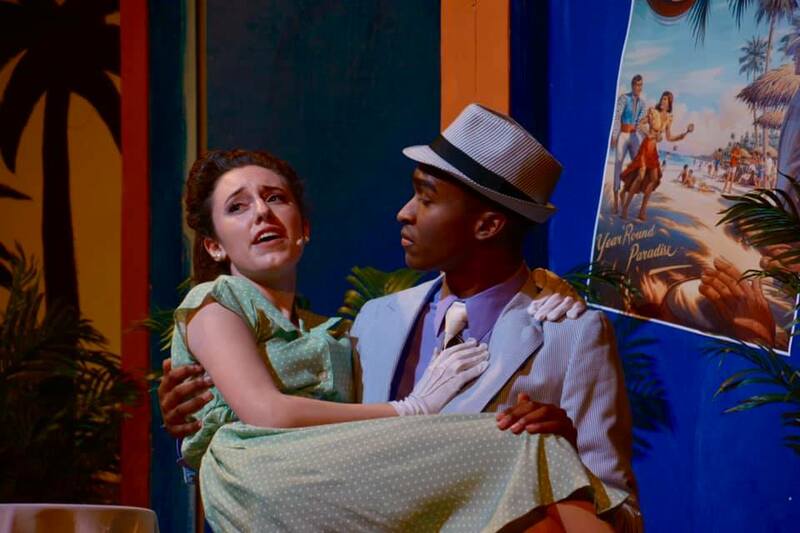 You are a sweetheart and I love you all very much. Biggio admittedly saved the best for last. To my wife, Patty. You gave me three incredible kids. But most of all you gave me my best friend for the last 25 years. You’re a great person. And our kids are who they are because of you. The baseball life is a great life. But it’s a very hard life. I was always in and out for eight months. You were the one who did everything for the kids. Closing in grand slam fashion, Biggio summed his personal Field of Dreams production to giving everything I had every day … tomorrow is not guaranteed and I tried to play every game as if it was going to be my last. 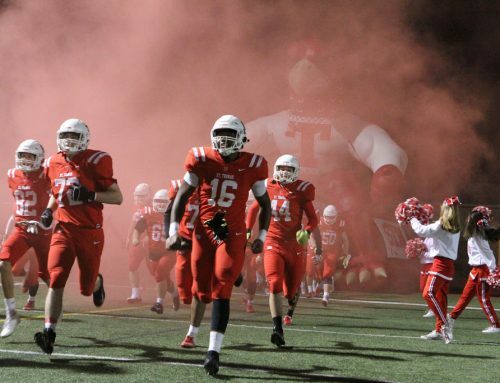 I want to thank the game for everything … my family, my friends, respect, but most of all, memories of a lifetime. The following Monday the Eagle crew banked their own Brinks load of never-to-forget experiences, mixing and mingling, singing and dancing, toasting the day and night away at Biggio’s private celebration. 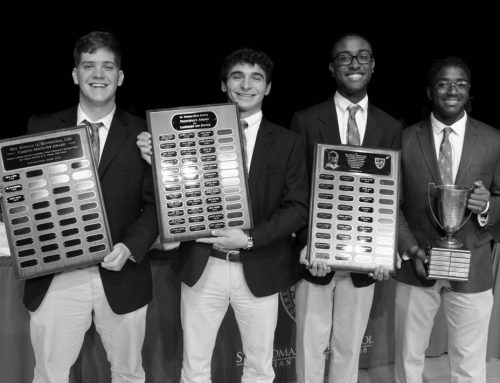 Still reverberating were the high arching themes of Craig’s 10-minute stay at the podium … the standards he has lived long before and after calling a close to his Astros playing career, values which were consistent with his impact at St. Thomas. Loyalty and commitment. 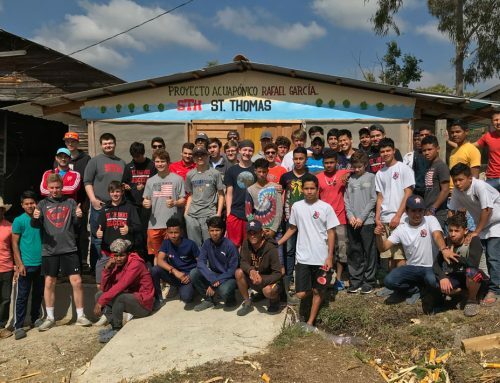 Charity and community. Ethic and integrity. Faith and family. 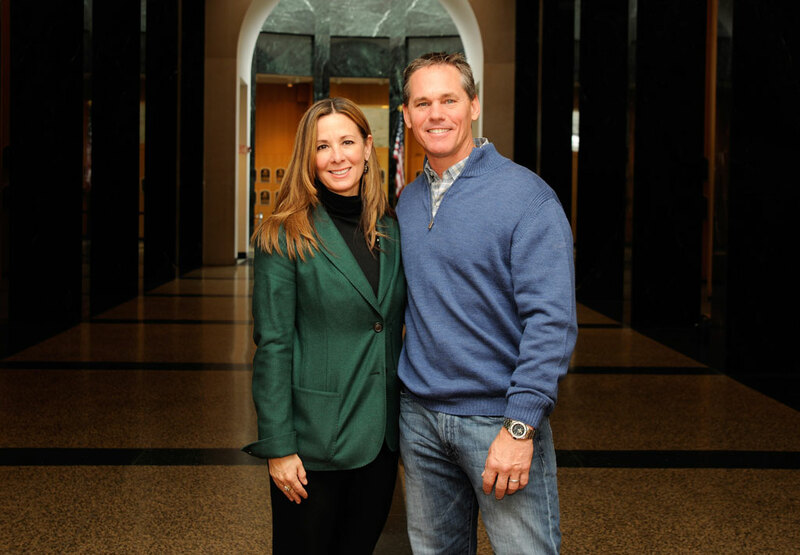 Biggio has remained a significant Eagle ambassador who champions the STH experience, its sacred Basilian mission and traditions. 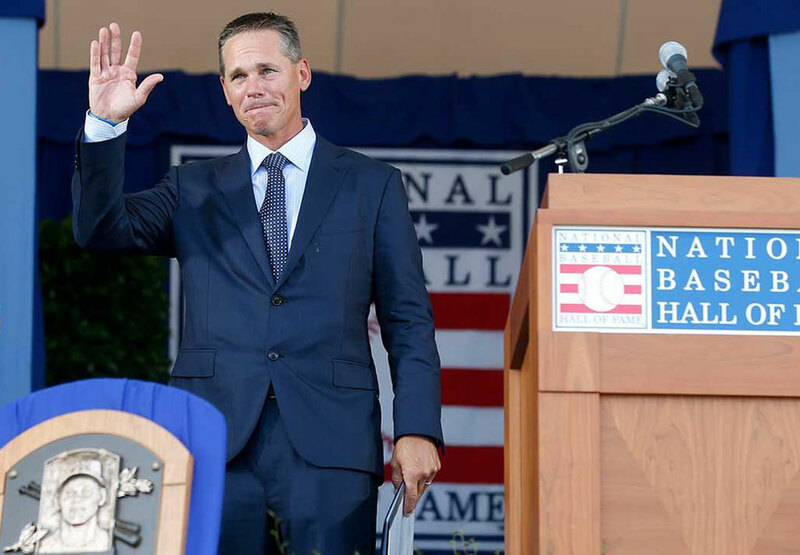 Netzel steadfastly believes that the timing that led Biggio to St. Thomas in quicksilver fashion after his retirement was not mere coincidence. Biggio’s diamond dust career was marked by a rare combination of power and speed with an unmatched defensive versatility at three premium positions, a seven-time All-Star fronting a star-crossed and success-starved franchise for 20 years, leading a charge to its one and only World Series. A model for the city … and then a school … where he became ingrained in the culture. 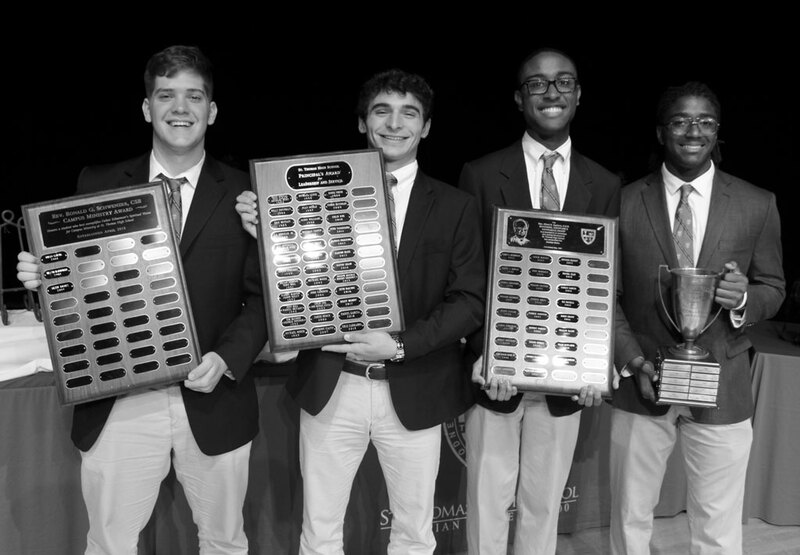 “What I’ll always take from Craig’s six years at St. Thomas is how he showed what can be gained through hard work,” O’Neill said. “He would be here six hours before practice, working the field and just doing whatever was necessary to make the program successful. That’s what all our students saw, an example of hard work.